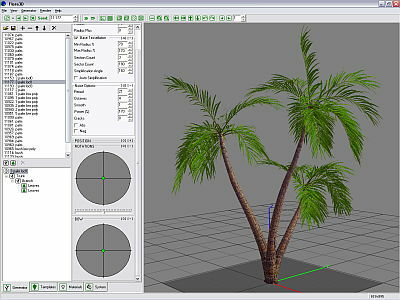 This program is utility for artists, game designers and 3D-modellers.The main function of the program is generation of 3d-models of plants. Models can be saved in standard formats (*.3ds; *.x) or as a Delphi module (*.pas). First of all tree mesh is specially optimized for game scenes and for real time rendering. You can adjust the geometry and the number of polygons, and save it as different LOD. Game Editor is an open source interactive multimedia tool for game development, with a simple and intuitive interface and a rich set of features. QTads is a graphical, non-HTML interpreter for Tads games (Text Adventures). Both Tads 2 as well as Tads 3 games are supported. It uses the Qt library. It has some nice features, like fullscreen mode and text-justification.